I'm kind of a nut about my calendar. I have found that one of the best ways for me to be productive and balance my life is by planning ahead. I'm borderline OCD about it. I start with my iPhone calendar. As soon as an appointment is made, an invitation is received, or any other commitment is made it goes straight to the calendar. Then (this is the part that gets a little OCD) every single Sunday night I sit down and micro manage my week. 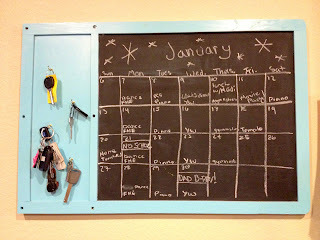 I write down what everyone has to do every day of the week, what I have to do, and what we are eating for dinner, etc. Depending on how busy the week is, I can get pretty specific. 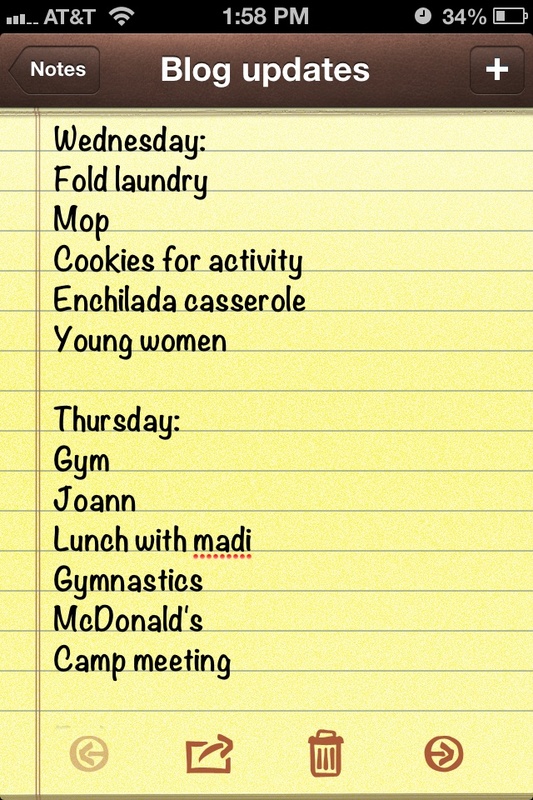 This week is pretty chill so I just wrote down general things, but carpool/homework/baths/piano practice etc. aren't on this list. 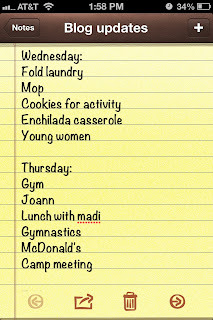 If a week is super busy I usually write down every little thing. That way I don't forget anything in the craziness. I've also started a family calendar this month. I was hoping that if I wrote everything down for my six-year-old to see she would stop asking me every five minutes what we were going to do for the next week (she's a planner like me). So far it's just brought up more questions but whatever. 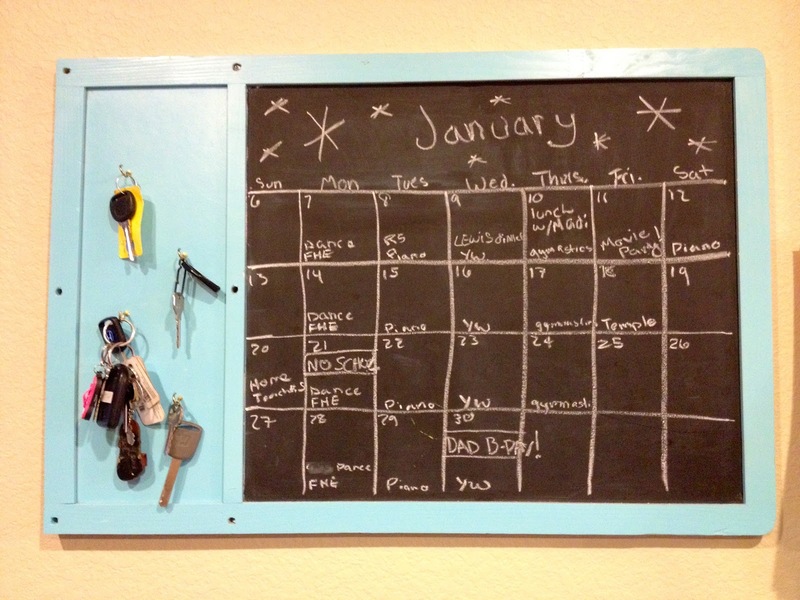 Being organized is the only thing that keeps me sane. It also keeps me productive. What's your favorite organization trick? 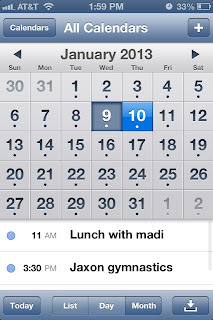 I'm totally with you with the iPhone calendar. 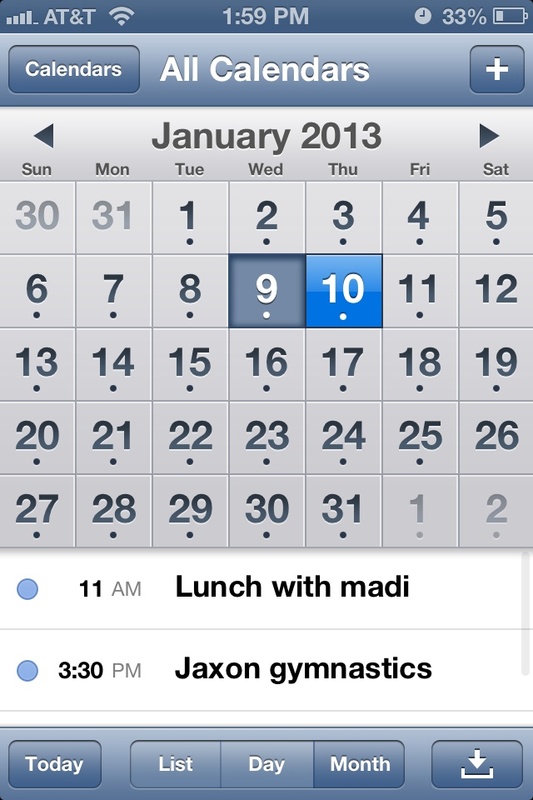 If I dont put every appointment, invitation...just general reminder in there...I'm likely to forget it lol. Thank goodness for phones! This is why I keep going to this place. I can not believe I missed so many posts since the last time!